Tinder Foundation are signatories to the UK Digital Inclusion Charter. The charter is jointly led by government and Go ON UK and commits partners from the public, private and voluntary sector to work in partnership to increase the basic digital skills and capabilities of individuals and organisations. 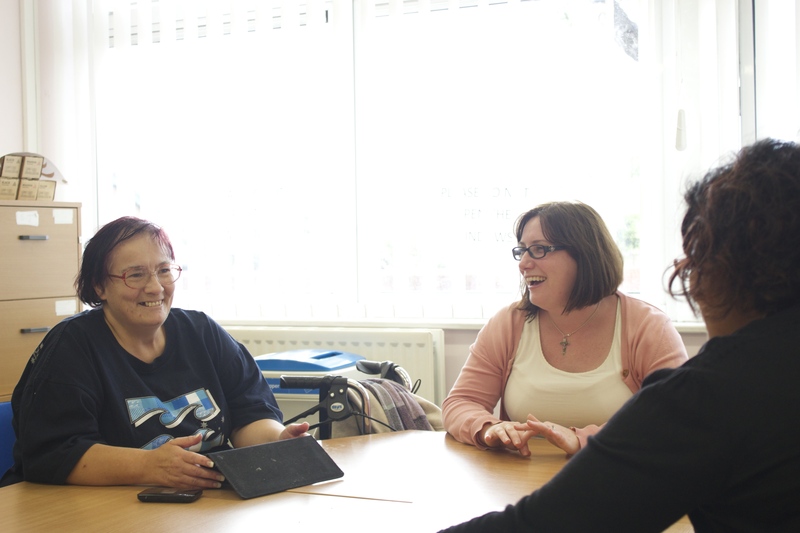 As a social enterprise they manage the national network of UK online centres and provide digital skills training. Over the past ten years, a combination of a competitive broadband market and determined hard work at community level has seen the UK halve the number of people without basic online skills to ‘just’ 10 million people. The end is in sight, so I believe we should be ambitious and strive to ensure that (almost) everyone can take an active part in a digital nation. High employment, world class skills, lower crime rates, improved education and booming business – it’s all within our grasp, and for everyone. There are three major barriers as to why people don’t use the internet: motivation, skills, and access. With motivation, or a perceived lack of relevance, being the reason most often cited by offliners. Running between 13 and 19 October, the eighth national Get Online Week aims to inspire tens of thousands of people to go online and see what the internet could do for them - whether that’s finding a job, getting healthy, keeping in touch, saving money, making life a bit easier, or just having fun. More than 1,000 event holders have signed up to hold thousands of events, from Post Offices to mosques, cafes to community centres, job centres, social housing lounges, factories and many more. These learners, however, are just part of what is in fact a huge Get Online Week team. This is a partnership campaign. 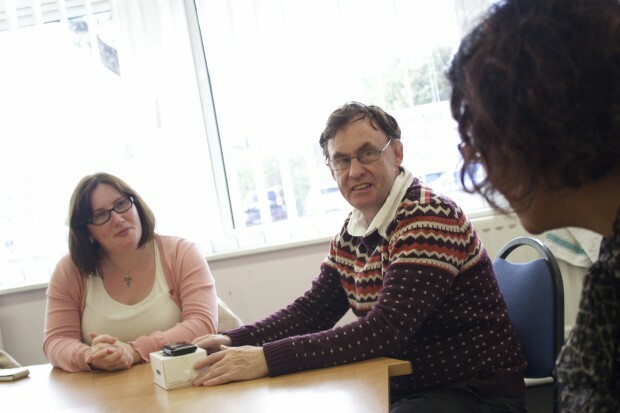 It is delivered by community partners like the UK online centres network, who in turn are using it to approach and work with trusted community intermediaries - like supermarkets, Post Offices, Jobcentre Plus offices, faith groups and more - to reach the hardest-to-reach in the places they feel comfortable. These relationships are also reflected on a national level, with Get Online Week’s supporters including Argos, Barclays, the Post Office, NHS England, TalkTalk, Vodafone, Go ON UK and others. Each one is contributing in a different way. Argos, for instance, are launching a £20 offer of a tablet, offering training on how to use it, and a year’s free broadband from TalkTalk - all timed to coincide with Get Online Week. Talk Talk is launching a pilot to encourage older people to take the plunge to take up low cost home broadband with an easy to use tablet and lots of support from their local UK online centre. Barclays are really pulling out the stops with Get Online Week being promoted on all their ATM cash point machines and branch screens, as well as loads of social media channels. Digital inclusion is an issue that affects every sector. Get Online Week gives us the opportunity to work together to do something practical, which feels pretty special. I want to stress that while all our wonderful partners are all equal, next week will be a success in large part because of the hard graft, planning, enthusiasm and expertise of the thousands of local partners working to engage new people in digital activities, and to welcome and support them long after the campaign is over. It’s the activity at a local level which changes behaviour and ultimately changes lives. This is where digital inclusion happens. I can’t wait. Best of luck to everyone running an event. Let’s all keep in touch on Twitter - #GOLW14 - and make the biggest possible impact we can. This is really interesting and essential for development, I feel developing mobile apps to encourage learning for free at home would help. In fact this is something we as app developers would like to help get involved with, as it can improve the long term economy. Please email us on hello@zigeek.com to arrange a meeting.